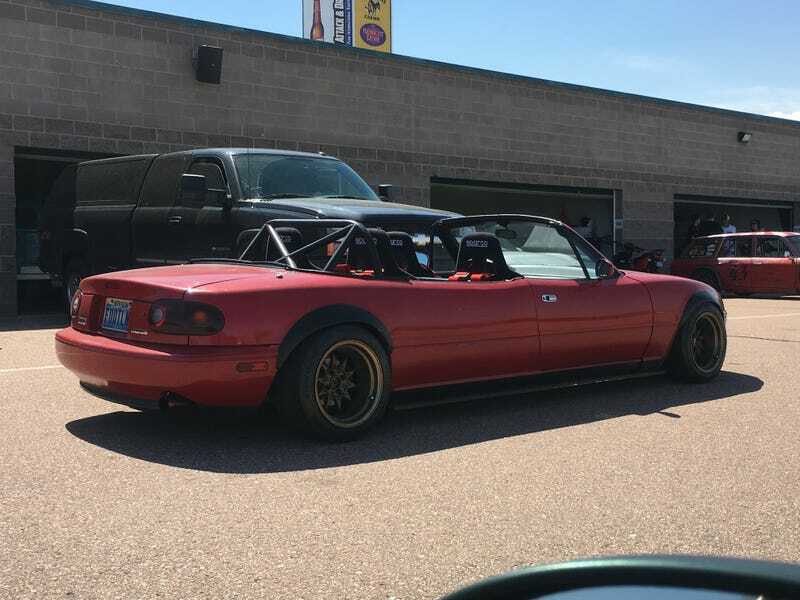 Stretch Miata formerly owned by drifter Danny George, now owned by Pikes Peak International Raceway president Bob Boileau. Wrung-out yellow WRX owned by one of the employees at the (legal) weed grow op in my office park. 356 at the local Euro/exotic dealership/shop. Did someone order a camo Samurai? Interesting paint/wrap on this 370Z. Ludicrously clean convertible fox-body Mustang. Subaru Brat with a bed shell. Toyota RAV4 EV #1. This has a Tesla battery & powertrain in it. Toyota RAV4 EV #2. Even comes with Tesla and environmental piety stickers!